First of all, I have to say that I had my doubts about Ben Affleck as Batman. He surprised me, though. Affleck did a great job. He played the older, rougher Batman really well. Unfortunately, this movie did not give him the opportunity to play a Batman I would have liked. The way Batman is portrayed throughout Batman v Superman is what threw me off the most. After witnessing the destruction and death that was caused by Superman in Man of Steel, it doesn’t surprise me that Batman would want to have a means of subduing Superman. But killing him? Simply because there might come a time in which Superman turns bad? Just in case, let’s kill him? Nooooo, no no no. That is not how this works. Admitting that Batman came real close to killing his archenemy Joker more than once – he always (was) held back. He realised that killing someone would make him just as bad as whoever it was he was killing. I saw the Robin costume with Joker’s message in the Batcave, I realise that something awful must have happened in the many years in which Bruce Wayne was acting as Batman. I don’t disagree with showing him to be brutal, even to a point of being cruel sometimes. He is that in the comics, too – no denying it. Having to watch Batman throw an active granade after someone and see him explode, or actively smashing a guy head first through a floor thus breaking his neck. That sort of thing is unimaginable and unacceptable – at least in my perception of Batman. The thing is, I did like some parts of the movie. Wonder Woman (beautifully played by Gal Gadot) being a badass warrior – equal in strength to Superman – that was awesome! More of it, please. Superman himself, and then Lex Luthor… just no. I didn’t care for it. So many things in this movie didn’t make any sense at all. The fact that we had to watch Superman die and see that burial – even though everyone who watches that movie knows that he has to be in the next movie. I wasn’t moved at all by his death or by the pseudo-weeping Lois Lane holding him in her arms (that scene was just bad). Summing up: Batman v Superman was better than Man of Steel, and I have hope that Justice League will be better still. Maybe I will be able to watch the next Snyder movie cringing only once or twice and not the whole movie. Wouldn’t that be great? My kiddo wants to see this movie, but I’ve been dragging my feet. 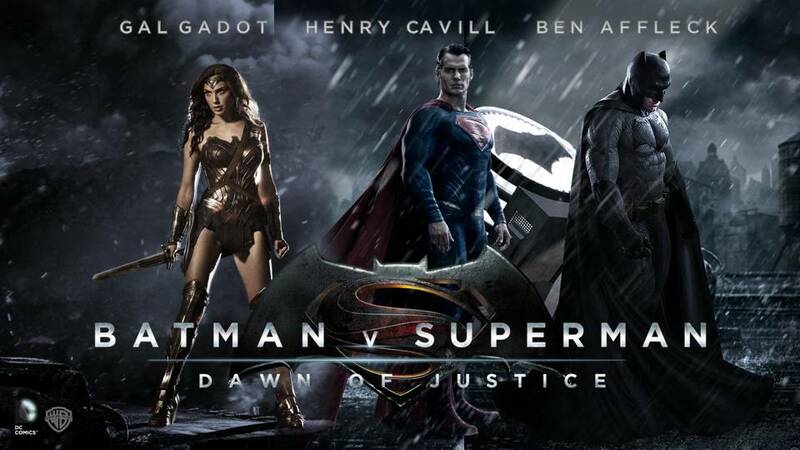 I don’t mind superhero movies…but this one didn’t seem worth the watch. I just don’t get the premise. Why are the heroes attacking each other? I think it would have made more sense if the heroes were fighting something truly awful, but that’s just my opinion. How old are your kids? The movie is kinda brutal at times… I wouldn’t suggest taking them if they scare easily or if they react sensitively to violence. The reason why they are fighting is explained right in the beginning. As Batman witnesses Superman destruct Metropolis is his fight, Superman witnesses the brutal way in which Batman fights and kills bad guys. Both cannot accept how the other does his fighting. But the ultimate reason why they face each other in battle is ridiculous. Luther threatens Superman and gives him an ultimatum. Either kill Superman or watch your mother die. Is the movie worth watching? Kids seem to like it because there is a lot of action in it. If you’re not too familiar with the DC universe it might be confusing at times. On the other hand, you might enjoy the overall movie more… In the end, it’s a tough decision to make. Kiddo is 12. We’re more Marvel than DC at yonder Hoffman Haus. Iron Man and Captain American, sure. Dead Pool…adults only! LOL I wasn’t thrilled with the last 2 Superman movies. Great special effects, but the plots were kind of weak. To be honest, if you’re more of a Marvel household anyway and didn’t enjoy the last Superman film, then I suggest you wait until the film is released on DVD and watch it then. Safe some money and you won’t be disappointed that much. I understand your reaction. It felt wrong while watching it, too. Have you seen the movie already?